Subtotal glossectomy specimen from a 58 y/o male with a long-standing history of smoking. 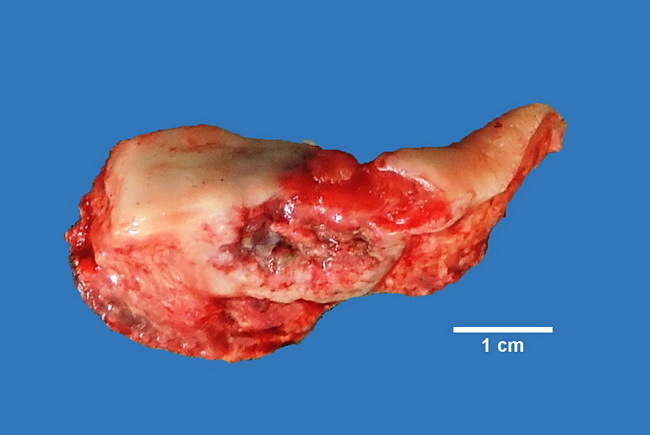 He presented with a 4x3 cm ulcerated lesion on the dorsum of the tongue. A biopsy showed moderately-differentiated squamous cell carcinoma. Case contributed by: Dr. Sanjay D. Deshmukh, Dept. of Pathology, Smt. Kashibai Navale Medical College, Pune, India.